This is a limited edition album celebrating the tenth anniversary of musical cooperation between Polish Jazz musicians: bassist Marcin Oles and drummer Bartlomiej Brat Oles, collectively known as Oles Brothers and German clarinetists Theo Jorgensmann. The album also features the German vibraphonist Christopher Dell and together as a quartet they present eight original compositions: four of which are credited to all quartet members, two are by Jorgensmann and one each by the Oles brothers. The album follows the pattern set by the three earlier albums recorded by the Oles Brothers with Jorgensmann, but is also somewhat more "conventional" in a way, with clear melody lines and beautiful serene atmosphere, which turns the listening to this album into a truly relaxed experience. Jorgensmann plays beautifully, as always and the rhythm section accompanies him with superb sensitivity, with the bass taking the lead from time to time as well. Dell is the least dominant participant, which is pretty understandable considering the long and established understanding between the other three musicians, but his solos are perfectly suitable for the music as is his accompaniment behind the clarinet. Overall this is another example of the great music the Oles Brothers are always involved with, and a document of a fruitful musical cooperation between European musicians. Full of great music and perfect delivery this album should satisfy even the sternest Jazz connoisseurs and provide a listening experience worthy of being revisited. 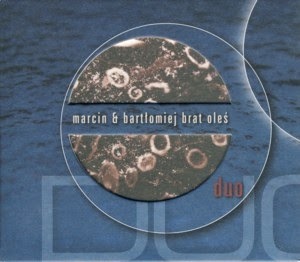 This is a double CD compilation of works by Polish Jazz musicians: bassist Marcin Oles and drummer Bartlomiej Brat Oles, collectively known as Oles Brothers. It includes thirty six short pieces of music, which are parts of eight separate soundtracks created to serve as music for theater, film and animation, which were premiered between 2004 and 2009. The entire music was composed and performed by the duo, with four guest musicians participating on some of the tracks. They both play several other instruments apart from the obvious bass / drums, including keyboards, guitar, marimba and others. Polish Jazz connoisseurs are of course well aware of the Oles Brothers achievements, especially in view of their status as the most formidable Polish Jazz rhythm section, which played over time with a plethora of local and international musicians. However this album focuses more on the music composed by them rather than on its execution. Of course Oles Brothers were also the composers of part of the music played on their earlier albums, but this album really puts their excellent compositional skills right in the focus of the listener's attention. Stylistically the album covers a very wide range of different genres / influences / atmospheres, which encompass contemporary Classical, World Music, Jazz of course, Ambient and minimalistic / incidental music. It is often very melodic and even when there are no clear melody lines present the overall atmosphere is serene and inviting. Music, which is meant to serve as a soundtrack is not really required to stand alone, when separated from its visual / theatrical component. But in rare occasions it does possess an intrinsic value, which allows it to be fully meaningful and complete on its own. The music included on this album belongs to that category, which of course is quite remarkable. But on the other hand it is definitely not for a casual listener, and as such has a limited accessibility. With this album Oles Brothers firmly establish their position on the contemporary Polish music scene, beyond their initial Jazz association. They are definitely a musical force to be reckoned with and one can only hope that their future project will be every bit as ambitious and meaningful as those presented on this album. This is the thirteenth installment in the new series of releases initiated by the Polish Radio, which presents archive Jazz recordings. Radio recordings are always a fabulous source of remarkable material, and as far as Polish Jazz history is concerned, the Polish Radio, which was a state monopoly for 45 years, recorded over time a plethora of invaluable material, which apart from the albums released by the Polskie Nagrania record company (also a state monopoly), is the only available additional source of Polish Jazz recordings. For many years Polish Radio recorded concerts presented during Poland's most important Jazz venues, including the annual Jazz Jamboree Festival and many other festivals as well. 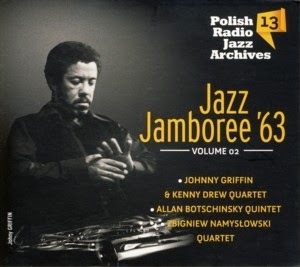 The material collected here presents a second volume of recordings made in 1963 during the sixth Jazz Jamboree festival in Warsaw. It starts with two lengthy tracks, both treatments of classic Jazz standards, by the legendary American saxophonist Johnny Griffin and his quartet. Prior to this recordings Griffin, like many of his Afro-American colleagues, moved to Europe, where Jazz was experiencing an explosive development and was considered an Art Form and racial discrimination was almost completely absent. The quartet includes fellow American pianist Kenny Drew, who settled in Europe a couple of years earlier, Dutch guitarist Wim Overgaauw and Dutch bassist Ruud Jacobs. Followers of this series are of course aware of the fact that the eleventh volume already presents a double CD with material recorded by Griffin at the same festival with the same musicians. Personally I'd have preferred to have that release expanded into a triple CD set and have all the Griffin sessions together, but I'm not the series' editor. Next come three tracks by the Danish trumpeter Allan Botschinsky and his quintet with American born saxophonist Ray Pitts, who moved to Denmark in 1962, pianist Atti Bjoern (name most probably miss spelt), bassist Benny Nielsen and American drummer Robert Joseph (real name Robert Joseph Durham or Bobby Durham as he was known to all – Polskie Radio should have known this, especially since I already made this comment / correction on the a.m. Griffin album – please read people! The music is all original and includes two compositions by Pitts and one by Botschinsky. It is typical bee bop, well played, especially by the leader who was a first rate trumpeter, but not extraordinary in any sense. The two tracks closing the album are the most interesting for the Polish Jazz fans and they present the Zbigniew Namyslowski quartet with pianist Wlodek Gulgowski, bassist Tadeusz Wojcik and drummer Czeslaw Bartkowski, the same quartet that would record several months later in Britain the legendary album "Lola", the first significant exposure of Polish Jazz behind the Iron Curtain. Both are original compositions by Namyslowski, the first would be the title track of the British LP and the second seems to be the only appearance of this composition on record. These are the initial steps of the first golden decade of Polish Jazz, and as such their documentation is priceless, as is the music. The beautifully restored sound quality is excellent and the warm ambience of the analog recording is a true joy. As usual with this series, which is very reasonably priced, I miss the presence of "in depth" liner notes / booklet, which should convey the circumstances at which this music was recorded and its importance to the development of Jazz in Poland. Nevertheless this is an absolutely essential piece of Jazz history which every Jazz fan will surely consider an absolute must. This is the debut album by young Polish Jazz pianist / composer Kuba Pluzek, recorded partly in a trio setting with bassist Max Mucha and drummer Dawid Fortuna and partly as a quartet which adds saxophonist Marek Pospieszalski to the trio. The album presents seven original compositions, all by Pluzek, three of which are parts of an extended three-part suite. After just a few moments it becomes immediately apparent that this is a very unusual album in every respect. The music is simply "different" from anything else one usually hears on a Jazz recording today. It is melodic, but the melody is often quite elusive; it is rhythmic, but the rhythm keeps changing constantly; it dresses up as modern mainstream, but in fact it is almost completely Free at times. All those factors create a confusing haze at the first exposure, but very soon it all begins to make a perfect sense. However, this music never rests and keeps an attentive listener on his toes at all times, as anything can and most probably will happen while this music evolves. The individual performances are all first rate, which is hardly surprising to people familiar with the Polish Jazz scene and previous recordings by the musicians involved, except the leader of course, who is a novice. Surprisingly it is the saxophonist that gets the most exposure and his convulsive solos fit the music perfectly. Pluzek plays along splendidly, arm in arm with the rhythm section, inserting complex chords and odd timed vamps, but he solos sparingly and when he does play solos, those are rather minimalistic as far as the number of separate notes present, being more chords oriented. Even on the trio pieces the bass and drums seem to bee actually often busier than the piano, which sort of "leads from behind". The bass / drums team plays a much more significant role in this particular music than usually in Jazz, as the music is mostly based on a vamping pattern that is held and driven by them. Both instruments are recorded with strong presence and high up in the mix, which also adds to the overall sonic "strangeness". They both do a splendid job for sure. It seems that the leader wanted to present a team effort rather than boast his ego, which is commendable and honorable. Overall this is a very impressive album, which of course is very rare these days, as it becomes more and more difficult to be unique, inventive and yes, impressive. Considering that we are talking about a debut, this is even more important. It is difficult to say if Pluzek will indeed become the great hope of Polish Jazz, as the PR material accompanying this album announces, but he certainly enters the ring with a bang; only time will tell, of course, but he deserves our best wishes. Well done indeed! 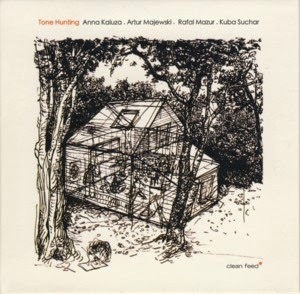 This is the debut album by the Improvising Music quartet, which consists of German saxophonist Anna Kaluza and three Polish musicians: trumpeter Artur Majewski, acoustic bass guitarist Rafal Mazur and drummer Kuba Suchar. Majewski and Suchar are or course known as the excellent duo Mikrokolektyw and Suchar is a member of the TRC Trio. The album presents five extended improvisations, credited to all quartet members and was released by the excellent Portuguese Clean Feed label. The music is a great example of the vitality of the Polish / European Improvising Music scene, which is enjoying a tremendous Renaissance and involves a new generation of players and enthusiasts. These four musicians are among the most innovative and interesting representatives of the genre and have been already recognized internationally as important creative forces. Listening to this album clearly shows why they deserve such recognition. Although improvised, the music presents a diverse stylistic collage of sound vistas, from minimalistic and delicate breathing tones to expressive collective forceful statements. Most of the sounds and tones heard on this album are quite remote from what one would expect from the conventional usage of the instruments involved, and yet they somehow make all perfect sense and create a wonderful amalgam, which is obviously unlike almost anything heard before. In most cases the quartet members produce a series of rapid staccato sounds, which then are all intermixed into one sonic whole. In contrast to most "conventional" music, which once stated becomes unwavering in consequent listening encounters, this music is constantly alive and chameleonic, changing each time one listens to it. That elusiveness and constant ability to be transformed is of course what makes this music so fascinating. Obviously this is definitely not something for a casual listener and its overall accessibility is limited to connoisseurs of the genre, but as such, it is unquestionably one of its finest exhibits. 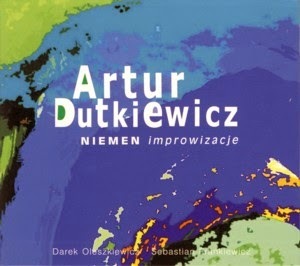 This is the fourth album as a leader by Polish Jazz pianist / composer Artur Dutkiewicz, recorded in a classic Jazz piano trio setting with bassist Darek Oleszkiewicz (bassist Daniel Biel plays on three tracks) and drummer Sebastian Frankiewicz as his partners. The music, as the title suggests, is a tribute to the legendary American guitarist / songwriter Jimi Hendrix and presents nine instrumental arrangements of songs from his repertoire, seven of them composed by Hendrix and two composed by others. The album was recorded at the excellent Studio Tokarnia and was engineered by Jan Smoczynski with spectacular sonic results. This album was recorded at the same sessions which produced the previous album by Dutkiewicz, called "Niemen Improwizacje", which pays tribute to the music of Czeslaw Niemen, the legendary Godfather of Polish Pop / Rock. Therefore these two albums share not only the recording dates but also basically the same musical concept, i.e. the transformation of Pop / Rock music into the mainstream Jazz environment. Of course the music of Hendrix, who was a major Rock star with a worldwide following, was already arranged and performed by many Jazz artists earlier, with varying results, some absolutely spectacular and other utterly worthless. Although seemingly words apart, Niemen and Hendrix shared one obvious characteristic: their deep affinity to the Blues, which Dutkiewicz cleverly exploits on both these albums, and uses this opportunity to highlight his own Blues chops. The fact that these two albums were recorded basically together and present a common concept obviously "asks for" a comparison, which I'd rather avoid, but unfortunately that is quite impossible. Personally this album works slightly less effectively for me than its companion, which probably has nothing to do with the music but my own perception of the music Hendrix created and I was fortunate to hear live on several occasions. I seem to be unable to free myself from the stunning guitar sound which my memory / brain stores under the Hendrix pointer. This music played by a piano, however well, simply does not cut it for me as well as it should. But of course this album shares many of the same beautiful qualities present on its companion: great performances, intelligent arrangements, wonderful interplay between the trio members and so on. It is a great piano trio album in every respect and an admirable tribute to the Genius of Hendrix. Obviously Jazz connoisseurs all over the globe should be able to enjoy this music without reservation. Włodzimierz Nahorny (born 1941) is one of those key figures without which such a phenomenon as Polish jazz would be simply unimaginable. Not only he cooperated with nearly all significant musicians on our scene with his collaboration with Andrzej Trzaskowski, Jan Ptaszyn Wróblewski and Andrzej Kurylewicz being especially memorable. But as evidenced by his long and successful career his music embodies all constitutive qualities of Polish jazz as a unique combination of jazz, pop and folk music build upon strong base of classical music harmony. The outcome of such a melange, at least as delivered by Nahorny, is breathtaking: light, inspiring, joyous and dance-like. It resonates with the energy of debutante while offering the riches of the fully matured artist whose technical proficiency is awesome and whose musical language is entirely his own. On this record as on other his projects in last decade we find along him a double bassist Mariusz Bogdanowicz who recently is quite active (check for example his last year "Syntonia") and drummer Piotr Biskupski. These two middle-aged guys are respected musicians on our scene but - as I have had an opportunity to see during concert premiere - they treat this project in a very special way and are well aware what a privilege it is to be able to play together with the musician of Nahorny caliber. On the other hand they fully reciprocate his trust rising on this album to the very heights of their abilities! Kasper Tom 5 on European tour !!! Drummer and composer Kasper Tom has assembled a group of significant, international musicians from the European jazz scene. The band is put together in an attempt to create a new sound of original compositions that require and challenge each musician's individuality and artistic identity. The band covers a wide musical spectrum, from catchy melodies to complex structures and expressive construction and deconstruction of the material. Seriousness and oddity reign together, the music exudes innovation and creativity and pushes the boundaries without forgetting tradition. 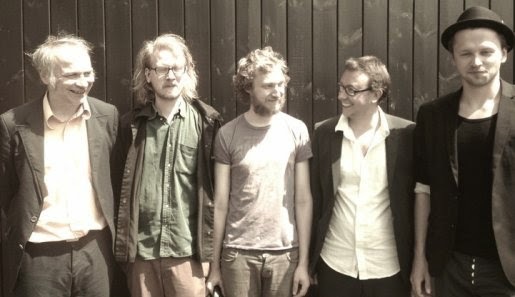 Kasper Tom 5 is a band with a serious take on contemporary "Danish jazz". The debut CD "Ost Bingo Skruer" was released December 5th 2013 on Barefoot Records. Danish drummer Kasper Tom Christiansen is one of the most interesting composers in the vibrant Danish jazz scene. As many other like-minded composers in this scene, he does not bind himself to the jazz legacy. His distinct musical personality references elements of contemporary music, and free improvisation. His compositions often bend catchy melodies into complex structures, while playing with seriousness. He challenges with odd segments and constantly attempts to push the boundaries without forgetting formative legacies. Impressive performances of demanding and challenging compositions. 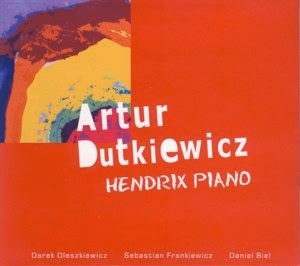 This is the third album as a leader by Polish Jazz pianist / composer Artur Dutkiewicz, recorded in a classic Jazz piano trio setting with bassist Darek Oleszkiewicz (bassist Daniel Biel plays on one track) and drummer Sebastian Frankiewicz as his partners. The music, as the title suggests, is a tribute to the legendary Polish singer / songwriter Czeslaw Niemen and presents ten instrumental arrangements of songs from Niemen's repertoire, eight of which were also composed by him and two which were composed by others. The album was recorded at the excellent Studio Tokarnia and engineered by Jan Smoczynski with spectacular sonic results. Niemen was always associated with Jazz and was a pioneer of the Polish Jazz-Rock Fusion movement, but he actually never quite crossed over into Jazz, and this album does it for the first time. Niemen's songs, stripped of their dramatic vocals and poignant lyrics, can be hear here for what they really were; a superb amalgam of Blues soaked Rock, Rhythm & Blues, Soul, Groove and Folkloristic themes, which are all obviously quite timeless. Dutkiewicz took quite a risk here, as transforming Niemen's music into a swinging Jazz environment might have trivialized it or even turned it into grotesque muzak. Luckily all this was cleverly avoided by the intelligent arrangements and highly sensitive performance, which simply transformed the music into a completely different plane. Many musical Icons seem to be simply untouchable, and most attempts, which try to utilize or update them, fail miserably. This is a rare example of a successful attempt of transplanting iconic music to a new environment without destroying the original. The trio's performance is of course spotless, as nothing less should be expected from musicians of such class. The players concentrate on playing the music and there are no lengthy individual solo sports, which would be quite inappropriate here, but a wonderful togetherness and concise delivery. Intelligence, sensitivity and grace are the name of the game and the music is never trivial or banal. Listeners familiar with Niemen's original performances of these songs will find this album quite fascinating of course, when trying the find the parallels and the divergences. But even people who never heard of Niemen (obviously beyond Poland's borders) should find this to be an excellent piano trio album worthy of repeated listening. 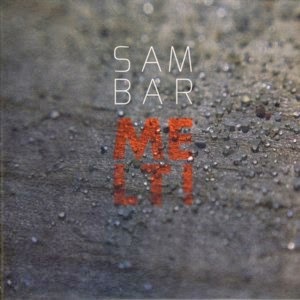 This is the debut album by Polish Avant-garde / Improvised Music duo Sambar, or saxophonists Paulina Owczarek and Tomasz Gadecki, both playing the baritone saxophone exclusively on this album. It captures a live performance by the duo at the legendary Alchemia club in Krakow, which is edited into four separate parts. Although not specifically attributed as such, the music is obviously co-created by the duo members. 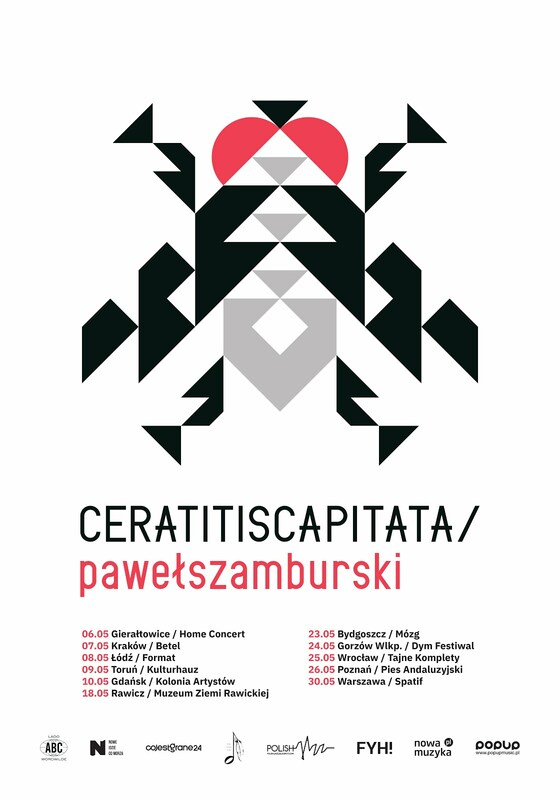 Both Owczarek and Gadecki are very active and prolific members of the Polish Avant-garde scene. Avant-garde by definition knows no limitations or preconceived boundaries, and therefore we should actually never be surprised by anything artists active in that sphere will come up with. But there are always innovations that make us raise the proverbial brow, and this is certainly one of those. The baritone saxophone is not a very popular instrument in general and in Improvised Music in particular and a duo of baritone saxophones freely improvising is simply almost unheard of. And yet, once one listens to this album, even that surprising setup proves workable when handled by daring and creative artists. The music on this album challenges the very fabric of our conception as to what music actually is. The traditional elements of melody, harmony and rhythm are almost completely irrelevant here and one is left only with pure sound and the way our brain interprets it. In fact listening to this music is really similar to taking part in the process of actually creating it. Sadly this is also this music's greatest weakness, not intrinsically but as a result of the inability of the vast majority of listeners to engage in such process. As a result this music will be fascinating to a very selective group of listeners but completely unacceptable (if not unlistenable) to the majority. This is the price tag associated with innovative artistic search processes and I have always had the deepest respect to those artists who are willing to pay that price. Overall this is a bold and very interesting artistic statement condemned to limited appeal. I wish the world was different, but I have no illusions on that subject. Respect! This is the third album by Polish Avant-garde / Improvised Music duo Olbrzym I Kurdupel, or saxophonist Tomasz Gadecki and bassist Marcin Bozek. It captures a live performance by the duo at the legendary Alchemia club in Krakow, which is edited into six separate parts, but the entire performance can be seen as a musical continuum. Although not specifically attributed as such, the music is obviously co-created by the duo members. Gadecki is a very active and prolific member of the Polish Avant-garde scene and takes part in several other small experimental ensembles, like 250 KG, TRC Trio and Sambar. The duo has been playing together for about six years now, a period of time which was definitely sufficient for them to develop their own specific stylistic mannerisms and approach to collective improvisation, which by now is pretty recognizable. This is quite an achievement, as Improvised Music may sound pretty undistinguishable in most cases. The staccato bass pulsations and dramatic saxophone cries are most effective tools to capture the listener's attention and create an emotional upheaval. Improvised music is of course above all a team effort, and as a team they are simply "as one man", no pun intended. I have always admired the intimacy of their almost telepathic sharing of ideas and on this album it is more strongly evident than ever before. Additionally their music is completely non-aggressive, almost "romantic" at times, and as absurd as it might sound, it is pleasurable and comforting; definitely not a typical paradigm in Improvised Music. The Polish Avant-garde scene is obviously quite en extensive field of activity, still growing against all odds. Dominated mostly by relatively young musicians, it is vital and impressively creative. I find Olbrzym I Kurdupel to be a perfect personification of that wonderful phenomenon, always looking forward to their new work. I can only wish that their music will be discovered by as many open-minded music listeners as possible, as it certainly deserves it. Ever since his debut "Nuntium" (2011) I look forward for any recording by the accordionist Robert Kusiołek. In Poland there is no voice like his as he uses accordion creating music verging between the pure sonorostic experiment, contemporary classics and jazz. That is perhaps why, though being very original artist indeed, he remains rather unrecognized in our country: he is simply too difficult to put in any definite category. Unfortunately the public, and even more critics, loath music and musicians evading well-known labels. Yet please trust me if in music you feel inclined on taking "the roads less traveled" you will find this record very rewarding. 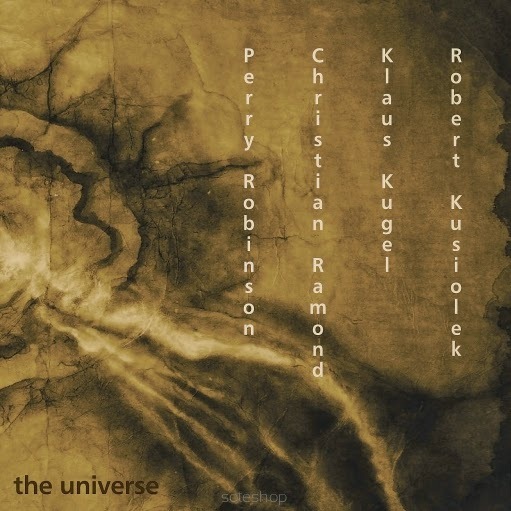 As on his first album Kusiołek leads the band consisting of four musicians: Klaus Kugel on drums, Christian Ramond on bass (replacing Ksawery Wójciński) and - very important change - Perry Robinson on clarinet instead of violinist Anton Sjarov. The music itself is clearly a continuation of what we could find on "Nuntium" but Robinson's clarinet changes thoroughly the sound of this ensamble. He does not need to be introduced as he is one of the leading American clarinetists for over half a century. But it should be underlined that he managed to fit perfectly into Kusiołek's ideas. Their dialogues supported by such a creative and technically proficient rhythm section as Kugel and Ramond well justify not one or two but many rehearsals of this album as there is plenty here to discover. What I like most in Kusiołek's music is "the space". I believe only few musicians know how to use silence to provide their music with more breathing space, to add to it new dimension, a distant horizon. I speak through metaphors but I hope that those of you who are attentive listeners will understand. This "space" element is captured during live recordings what is as much impressive as necessary to avoid this music being too cold and sterile. Contrary to that although it remains somehow otherworldly yet it is very direct. A significant achievement! 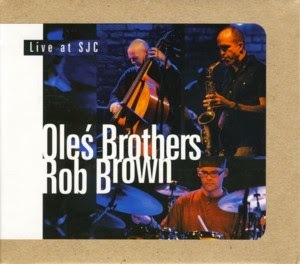 This is a trio album by Polish Jazz heroes, brothers Marcin Oles (bass) and Bartlomiej Brat Oles (drums) collectively know as Oles Brothers, joined by American saxophonist Rob Brown, one of the most prolific and active NY scene Free Jazz players. The album comprises of seven original compositions, the opening three being parts of a three-part suite. All the music was composed by Bartlomiej except for one tune composed by Marcin. The album was recorded live and is a part of the "Live Series" of releases on the Oles Brothers owned Fenommedia Records. The music is typical contemporary Jazz, which allows for a large degree of freedom and extended improvisation but stays within the pre-composed melodic framework. Brown dominates the album with his very busy way of playing, and the rhythm section supports him marvelously, easy changing tempi back and forth between medium to fast, like true professionals. Although the cooperation between the musicians and the individual statements are without doubt all excellent, personally I enjoy more the moments when the rhythm section plays alone rather than when the saxophone is up front. That laborious wall of sound effect, which is typical of most American Free Jazz players and which unfortunately did not evolve an inch in the last few decades, is already exhausted as far as I am concerned. I mean is anybody able to express more emotion in their music by imitating the prophets like John Coltrane or Albert Ayler or Eric Dolphy? Brown belongs to a large group of American improvisers, which simply is unable to rejuvenate the idea and move forward. Therefore during the moments when Brown plays sparingly and melodically, as he does on the one before last track, he is truly excellent but when he erupts into the extended, aggressive improvisations, my defense mechanism is fully deployed. All things considered this is a fine modern Jazz album, mostly due to the excellent work done by the rhythm section, which emphasizes the fact that the language of Jazz knows no geographic or political boundaries and it's all up to people to make music together regardless of their origins. Not very innovative and sometimes a bit unnerving, but something Free Jazz fans should definitely enjoy immensely. This is a bold and unusual album by Polish Jazz heroes, brothers Marcin Oles (bass) and Bartlomiej Brat Oles (drums) collectively know as Oles Brothers, which presents them as a duo without a participation of any additional musicians. The music consists of ten original compositions: six composed by Marcin, three by Bartlomiej and one being co-composed by them both. The bass and drums, universally accepted as the rhythm section which stands behind the vast majority of all Jazz activities, is almost never considered being able to produce music on its own, which is evident by almost complete lack of recordings featuring bass / drums duets. In fact there are quite a few solo bass or solo drums albums; some of them even seminal recordings, but in contrast almost no bass / drums outings. 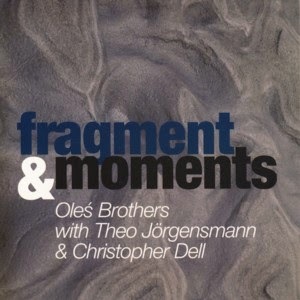 The fact that Oles Brothers decided to record such dramatically unusual album is another evidence of the fact that they are definitely much more than just a brotherly rhythm section, but also talented composers, virtuosic performers and Jazz innovators. Contrary to the expectations which a bass / drums album might suggest, the music is actually deeply melodic. Marcin states the melody line switching between arco and pizzicato and then the duo expands it by improvising and adding a rhythmic line, which often not only supports the melody by also introduces a secondary melodic theme. Both players remain attentive at all time to each other and the rhythmic patterns change often during one piece. The music is delicate, but distinctive, making a statement at all times; there are no fillers or redundant idle moments, its pure music from start to finish, intense, fascinating and deeply moving. Of course the individual contributions are hardly surprising to anyone familiar with the Oles Brothers output so far; their reputation as Poland's most formidable rhythm section is once more attested herein. It's much more than just superb technique, but more importantly their mutual respect, intelligence and sensitivity, which makes them a marvelous team. 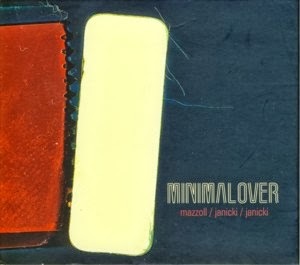 Music connoisseurs should really try out this album, as it is definitely a masterpiece of minimalism, which has very few equals, not only on the Polish Jazz scene, but worldwide. This is a rare gem indeed! This is the third album by Polish Improvised Music heroes, brothers Marcin Oles (bass) and Bartlomiej Brat Oles (drums) collectively know as Oles Brothers, with the German clarinetist / composer Theo Jorgensmann. The music was recorded live and includes eight original compositions: four composed by Bartlomiej and two each by Marcin and Jorgensmann. The music presents a wonderful Free Jazz / Improvised Music setting, full of great melody lines, exciting improvisations, fiery displays of virtuosic abilities and telepathic conversation between the musicians involved. Jorgensmann is a very dynamic, but non-aggressive player, who sounds wonderfully melodic even if he improvises freely, which creates an exceptionally easy-going atmosphere, rarely present on Free Jazz albums. The Oles Brothers are famous for being the best Polish rhythm section in Free Jazz / Improvised Music environment and this album clearly shows why. They are not only technically perfect but more importantly superbly musical, and as a result the music doest not offer a soloist supported by a rhythm section setup but rather a trio of equally important parts playing together as one. Large part of the material included here is a live version of the same material recorded by this trio on their previous album "Directions", which was recorded in a studio. Those two albums are a splendid manifestation of how music is influenced by circumstances, the presence of an audience and so on. Basically these two albums should be combined into a double CD release – perhaps when reissued at some later date. Overall this is one of those instant "classics" which simply leave nothing out and are pieces of Culture captured for posterity. Wonderful listening experience from start to finish! 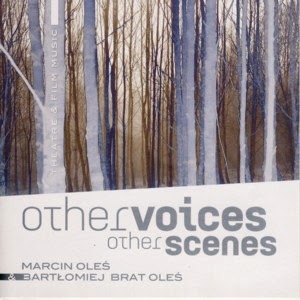 This is an interesting recording, initiated by Polish Improvised Music heroes, brothers Marcin Oles (bass) and Bartlomiej Brat Oles (drums) collectively know as Oles Brothers, which involves also three additional musicians: American cellist Erik Friedlander, American bassoon player Michael Rabinowitz and Belgian oboe player Emmanuelle Somer. They perform together as a quintet eleven pieces, nine of which were composed by Bartlomiej and two by Marcin. The music presents an innovative idea to create Improvised Music, using Classical chamber instrumentation, ambience and to a certain extent also methodology. As farfetched and bizarre as the idea might appear at first, this album proves that is can be done and the result can genuinely offer some perfectly valid and beautiful music. The pieces present a wide range of musical ideas, some quite melodic, others more atmospheric, but always interesting and even fascinating. The level of musicianship on this album is truly outstanding. All the participants possess virtuosic abilities and utilize them with astounding effectiveness. The same applies to their cooperation and the overall ensemble functionality. It is very difficult to believe that this is indeed Improvised Music, as it sounds completely coherent and synchronized at all times. To an innocent listener unaware of what is being played, this music might sound similar to contemporary Classical Music, with a twist, and after all it might be considered as such. The album is a great example of the unlimited possibilities that music offers to the listeners, when created by daring and ground-breaking Artists. Assimilating many different elements, not only from Jazz and Classical Music, but also World Music, especially Jewish and Middle Eastern themes that are very clear to a trained ear, this is a true cross-genre excursion definitely worth experiencing. Satisfaction guaranteed! In the liner notes attached to this album Polish Jazz electric bass virtuoso Krzysztof Scieranski confesses that his initial dream was to become a guitarist and the fact that he became Poland's bass guitar legend is, as often happens in life, a matter of circumstances and of course the fact that his brother already played guitar. One way or another, the audiences had the pleasure of enjoying his superb performances for four decades now. This album is primarily a realization of a dream where Scieranski could play guitar in addition to his already legendary bass routine. He is accompanied on this album by a core trio: saxophonist Michal Kobojek, keyboardist Michal Lyczek, drummer Przemyslaw Kuczynski and a few other musicians. Two tracks (the opening and closing ones) also include vocals. The album presents twelve original compositions, all by Scieranski. The music is a mixture of relatively uncomplicated Smooth Jazz tunes, ranging between Jazz-Rock Fusion and almost Popish signatures, all very melodic and well structured harmonically. The tunes are definitely much more solid than most in not all the material found on Smooth Jazz recordings. There is something for everybody here and all of it is slick and pleasurable, so I wouldn't be surprised if this album becomes very popular indeed among listeners of all ages and musical persuasions. The performances are all excellent from start to finish. These are all highly skilled and professional musicians and one should expect nothing less than technical perfection. Absurdly, although Scieranski plays some great guitar licks, it is his bass playing that is the most impressive, especially when he uses the fretless bass. He actually plays guitar on only about half of the tracks. To summarize this is an excellently executed Smooth Jazz album, which includes a collection of tunes that are much stronger that the usual stuff one finds on that type of releases. Scieranski is a virtuoso by any standard and this album is simply another proof of the fact that he is simply great in any environment. And yes, he can play the guitar as well, which nobody can deny! Music for fast red cars, long haired blondes and sunny beaches… California here we come! This is the twelfth installment in the new series of releases initiated by the Polish Radio, which presents archive Jazz recordings. Radio recordings are always a fabulous source of remarkable material, and as far as Polish Jazz history is concerned, the Polish Radio, which was a state monopoly for 45 years, recorded over time a plethora of invaluable material, which apart from the albums released by the Polskie Nagrania record company (also a state monopoly), is the only available additional source of Polish Jazz recordings. 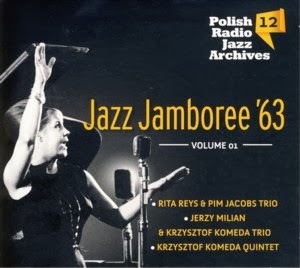 For many years Polish Radio recorded concerts presented during Poland's most important Jazz venues, including the annual Jazz Jamboree Festival and many other festivals as well. 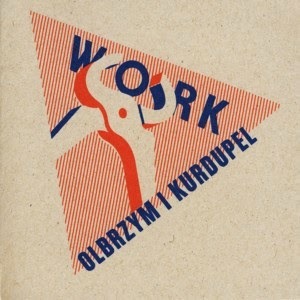 The material collected here presents recordings made in 1963 during the sixth Jazz Jamboree festival in Warsaw. The majority of the material, i.e. thirteen of the seventeen tracks, is performed by Dutch vocalist Rita Reys (who died a few months ago in July 2013) accompanied by a trio led by her husband pianist Pim Jacobs with guitarist Wim Overgaauw and Pim's brother bassist Ruud Jacobs. In addition one instrumental track by the trio is also included. 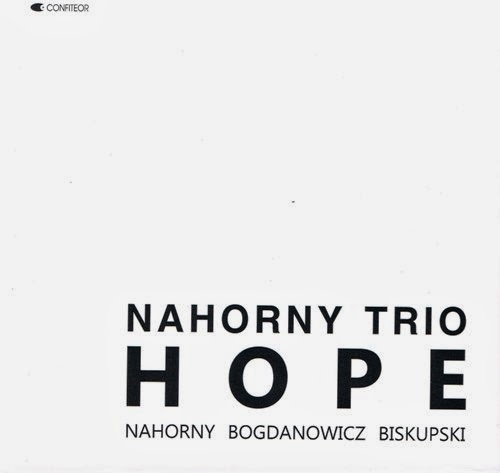 The remaining three tracks are performed by the top Polish Jazz musicians at the time: two by vibraphonist / composer Jerzy Milian accompanied by the Krzysztof Komeda trio with bassist Maciej Suzin and drummer Leszek Dudziak; the last track is by the Komeda quintet, with saxophonist Michal Urbaniak, trumpeter Tomasz Stanko, bassist Maciej Suzin and drummer Czeslaw Bartkowski. All the tracks are Jazz standards except for the last one, which is a Komeda composition. Reys performs a set of classic vocal material, comprising of popular songs known to all Jazz listeners. Her singing is beautifully expressive, but not virtuosic and copying mannerisms from American vocal Jazz stars. She also has a slight foreign accent, but definitely passable. The accompaniment is elegant and supportive, with Pim's piano playing being truly exceptional. The guitar plays sadly only a few solo spots, and when not soloing it is mostly hidden in the recording balance; as a result is seems Reys is accompanied mostly by a piano / bass duo only. Overall this is a fine presentation of mainstream Jazz vocals, nothing spectacular but a nice document of the moment in time. The Milian tracks are also rather pale, well performed and all, but again nothing special. Komeda plays some great piano phrases, which are always delightful and the rhythm section is doing its job as expected. The Komeda quintet is obviously the most interesting track herein with a typical beautiful melody line only he could weave and the quintet playing along splendidly. One may wonder why these three tracks were selected as the "filler" for this album, as both ensembles (Milian's and Komeda's) played full sets, which would be very interesting in their entirety. This is the second album by Polish experimental quartet The Cyclists, formed by keyboardist Daniel Mackiewicz (Sing Sing Penelope) with other musicians from the Bydgoszcz scene: bassist Wojciech Wozniak, drummer Jacek Buhl (Glabulator) and DJ G.R.Z.A.N.A. Together they play thirteen relatively short pieces, eleven of which were composed / improvised by the entire quartet and two were composed by Krzysztof Gruse, also a well known Bydgoszcz household name. The music is a mixture between Jazz-Rock Fusion ditties and the ambient ventures produced by the DJ, which together sounds like an updated version of early Soft Machine sans the vocals. The compositions, although pretty basic, are all nicely melodic and the Rhodes electric piano brings waves of nostalgia. There is essentially nothing very innovative here, or perhaps the entire proceedings are purposely retrograde; in any case this is a nice and very listenable piece of music, but overall quite déjà vu. Of course these are very talented musicians and they produced some excellent music in the past, so one should accept this project as an attempt to relax and have fun, which is exactly what it is all about. 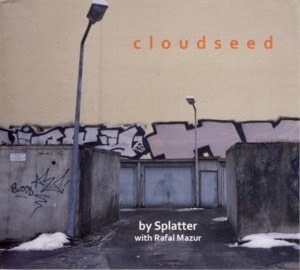 This is an excellent album by British Improvising Music quartet Splatter, recorded in an expanded lineup which also includes the Polish bassist Rafal Mazur. Splatter consists of clarinetist Noel Taylor, saxophonist Anna Kaluza, guitarist Pedro Velasco and drummer Tom Greenhalgh. On the album they perform thirteen relatively short improvised pieces, and since no composing credits are given one can assume all the music was simply spontaneously created by all the musicians involved. For a freely improvised music the content of this album is remarkably melodic and beautifully serene. Surely this music was at least rehearsed to some extent before the recording, as most of it has a clearly defined melodic sequence and harmonic structure. As such it is also easily accessible to a wide range of listeners, including those who normally wouldn't make the effort to listen to Improvised Music. 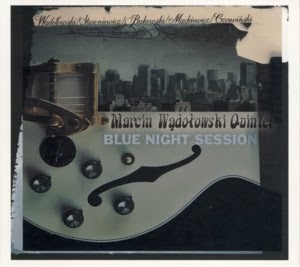 This is the second album by the Polish Jazz guitarist / composer Marcin Wadolowski, recorded in a quintet setting with saxophonist Wojciech Staroniewicz, vibraphonist Dominik Bukowski, bassist Janusz Mackiewicz and drummer Adam Czerwinski, all seasoned players from the Polish Tricity region. The album presents ten original compositions, all by Wadolowski. Wadolowski can be also heard as a member of Elec-Tri-City and Moongang. The music is all very melodic and kept within the mainstream Jazz conventions. All the tracks are relatively short, creating a sort of "songs" album, although of course entirely instrumental, in contrast to a typical Jazz recording, which focuses on the improvisational skills. Wadolowski simply decides to concentrate on featuring his skills as a composer and presenting his music rather than his and his quintets performing talents. There is basically absolutely nothing wrong with such approach of course. Nevertheless the album features very talented and skilled instrumentalists and although the framework and time limitations of this album allow rather modest contributions, those are all executed perfectly. Staroniewicz is a marvelous player and so is Bukowski, who uses recently more and more the xylosynth (a combination of xylophone and synthesizer, which sound really more like a keyboard and produces some very beautiful moments. The rhythm section is also perfect for the job, staying mostly in the background but providing a solid support for the soloist and doing it with grace and elegance. As to the leader, personally I prefer his work in a more electric / Fusion / Funky environment than playing gentle almost acoustic guitar, which limits his possibilities or perhaps exposes more his technical weaknesses, but overall his performance is also quite satisfactory. All in all we have here a pleasant well played album, which should satisfy most Jazz connoisseurs, with a slight tendency towards melodic and less complex musical forms. This album is quite ideal for a lazy evening with a glass of a wonderful cognac or very old single malt on ice. This is the third album by the Polish Jazz quintet, which was founded by two young players / composers: pianist Michal Wierba and trumpeter Piotr Schmidt. 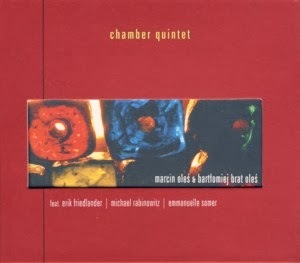 The quintet also includes saxophonist Marcin Kaletka, bassist Michal Kapczuk and drummer Sebastian Kuchczynski. 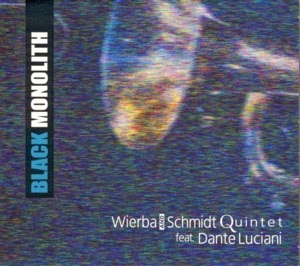 On this album the quintet is expanded into a sextet with the addition of American trombonist Dante Luciani. The sextet performs six tunes, three of which are original compositions by Wierba, two are standards and the remaining one is a composition by Czech trumpeter / composer Stepanka Balcarova, who studied at the Katowice Music Academy as did all of the quintet members. The album was recorded at the fabulous Studio Tokarnia and was engineered by Jan Smoczynski, with excellent, as usual, sonic results. Although the music is all within boundaries of typical Jazz mainstream, it is superbly arranged and executed. The original compositions are interesting and poise perfectly the melodic themes and the spirited attitude; the piece by Balcarova is the most impressive on the album. Overall this is a very pleasant well rounded Jazz album, which presents the sextet as a small Big Band, balancing between the brass and rhythm sections, features many excellent solo spots and shows that young Europeans can play mainstream as well as anybody else anywhere. The individual skills of the musicians involved are of course spotless. This album is the first release on the SJ label, owned by Schmidt, which is one of the small independent Polish Jazz labels releasing music by young Polish Jazz musicians, a most welcome phenomenon of course, spreading the local Jazz gospel around the world. This is the debut album by the Polish Avant-garde trio, which consists of clarinetist Jerzy Mazzoll, bassist Slawek Janicki and drummer Qba Janicki. 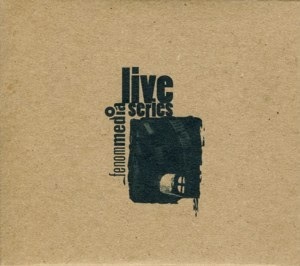 The album consists of a CD, which includes six improvised pieces recorded in a studio, based on Mazzoll's ideas, and a DVD which documents a live concert filmed immediately following the studio recording. The music and video was recorded at the legendary "Mozg" center in Bydgoszcz, which includes a recording studio and a club, one of Poland's most interesting musical epicenters. Mazzoll, one of the pioneers of Polish contemporary Free Jazz / Improvised Music scene and one of the Godfathers of the Yass movement, remains to be a central figure of that scene and his prolific activity is well documented. Slawek Janicki was a member of Mazzoll's Arhythmic Perfection for many years and they are now joined by Slawek's son Qba. Mazzoll was also an early member of the legendary ensemble Milosc. Although obviously highly spirited and full of great musicianship, the music presented on this album failed to engage me, which is a prerequisite to be able to truly enjoy it. To make sure this is not just a whim of the moment I listened to the music on different occasions and still was left cold. Even the additional visual layer present on the DVD failed to change the situation. Perhaps this music was an ideal vehicle as a means of communication between the players, but it failed to break the intimate inner circle. I admit a personal failure here, not blaming the musicians. The album itself is a beautiful document of the Mozg center and the activities that are carried out there. Considering the fact that this kind of underground culture, which is supported by local Government and carries on a tradition for several decades, this is a wondrous and highly unusual phenomenon.